Where a man’s heart is, there is his treasure also. God is not accustomed to refusing a good gift to those who ask for one. Since he is good, and especially to those who are faithful to him, let us hold fast to him with all our soul, our heart, our strength, and so enjoy his light and see his glory and possess the grace of supernatural joy. Let us reach out with our hearts to possess that good, let us exist in it and live in it, let us hold fast to it, that good which is beyond all we can know or see and is marked by perpetual peace and tranquillity, a peace which is beyond all we can know or understand. This is the good that permeates creation. In it we all live, on it we all depend. It has nothing above it; it is divine. No one is good but God alone. What is good is therefore divine, what is divine is therefore good. Scripture says: When you open your hand all things will be filled with goodness. It is through God’s goodness that all that is truly good is given us, and in it there is no admixture of evil. These good things are promised by Scripture to those who are faithful: The good things of the land will be your food. We have died with Christ. We carry about in our bodies the sign of his death, so that the living Christ may also be revealed in us. The life we live is not now our ordinary life but the life of Christ: a life of sinlessness, of chastity, of simplicity and every other virtue. We have risen with Christ. Let us live in Christ, let us ascend in Christ, so that the serpent may not have the power here below to wound us in the heel. Let us take refuge from this world. You can do this in spirit, even if you are kept here in the body. You can at the same time be here and present to the Lord. Your soul must hold fast to him, you must follow after him in your thoughts, you must tread his ways by faith, not in outward show. You must take refuge in him. He is your refuge and your strength. 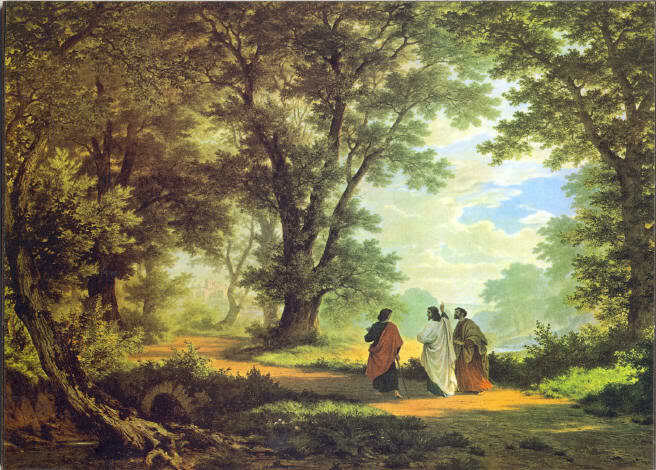 David addresses him in these words: I fled to you for refuge, and I was not disappointed. Since God is our refuge, God who is in heaven and above the heavens, we must take refuge from this world in that place where there is peace, where there is rest from toil, where we can celebrate the great sabbath, as Moses said: The sabbaths of the land will provide you with food. To rest in the Lord and to see his joy is like a banquet, and full of gladness and tranquillity. Let us take refuge like deer beside the fountain of waters. Let our soul thirst, as David thirsted, for the fountain. What is that fountain? Listen to David: With you is the fountain of life. Let my soul say to this fountain: When shall I come and see you face to face? For the fountain is God himself.